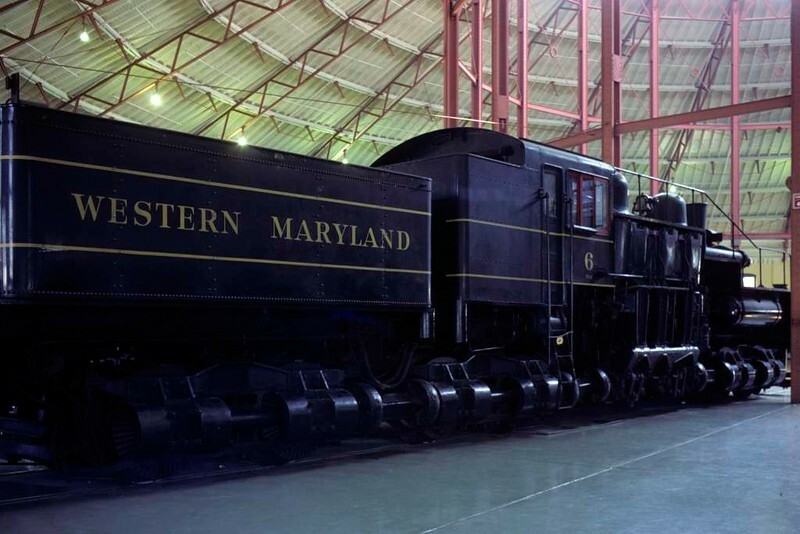 Western Maryland No 6, Baltimore & Ohio Railroad Museum, Baltimore, Maryland, August 1979. Standard gauge three-truck Shay built in 1945, the last and largest Shay (162 US tons!) ever built. It subsequently moved to the Cass Scenic Railroad - see my photos of it at work in 2010. Photo by Les Tindall.